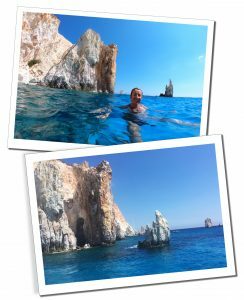 In August 2018, I visited Milos as part of my Greek Island-hopping holiday. It was my second time on this beautiful island but on this occasion, I truly fell in love with it. 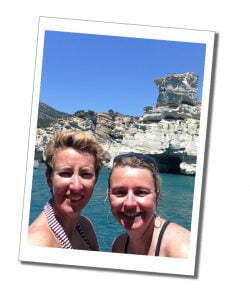 The highlight for me was the day we spent on a boat tour. 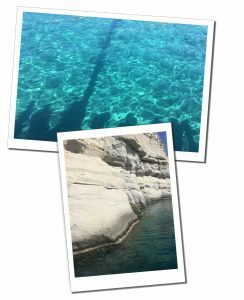 I am keen to share the reasons why this should not be missed on any holiday around the Greek archipelago. 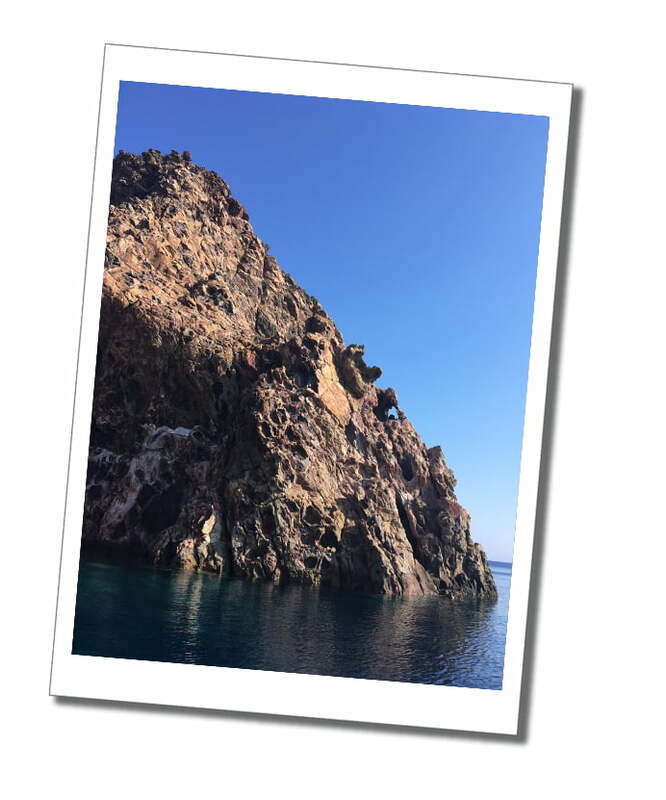 You can read all about my Top Tips for Island hopping in 2 of my previous posts, & see it for yourself in my Video Diaries. 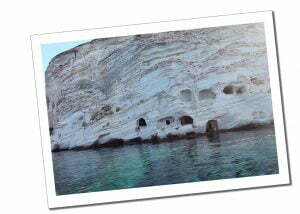 Milos is one of the most dramatic islands in the Cyclades due to its volcanic heritage. 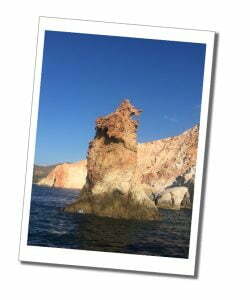 This has created a 125km coastline full of different minerals, rock formations, multicoloured cliffs & over 70 beaches. In addition, you will find the clearest waters of all shades of blue & green. 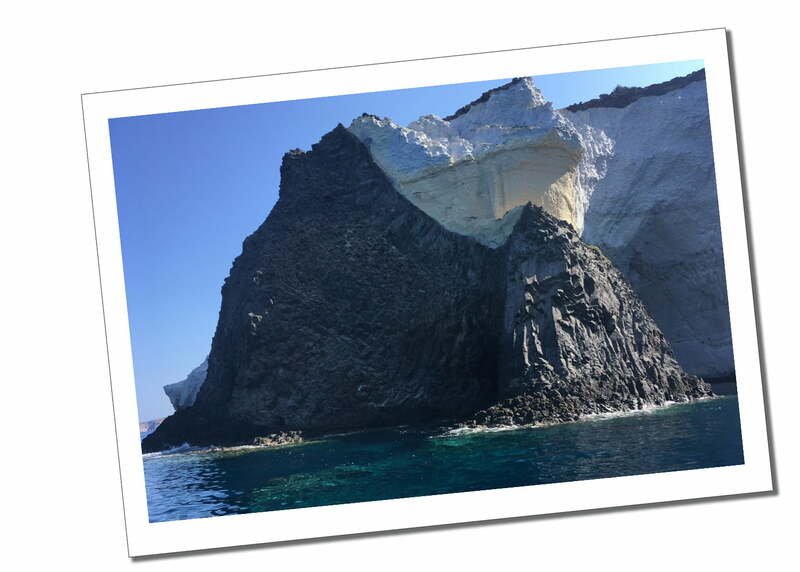 As you explore Milos it delivers an impressive geology lesson. The Venus de Milo was also discovered here. 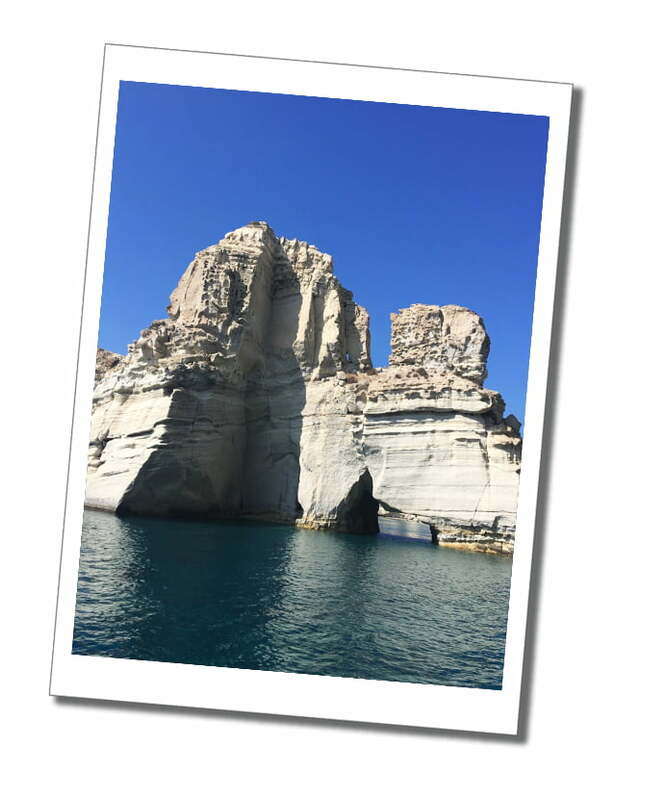 However, it is generally one of the smaller and quieter islands in the Cyclades & there are far fewer tourists than many of its more famous neighbours. 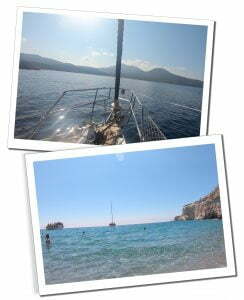 This was the 2nd time I’d visited Milos & my second boat tour. On my first, we spent a day on the water but only actually discovered half of the island. The way out to Kelftiko was beautiful with the sun shining & plenty of opportunities for tanning on the deck while admiring the island from afar. We stopped for lunch at a restaurant & then headed back the same way. When the guide came out in her thermals & waterproof jacket we were confused. All we had was our beach clothes. The rest of our tour friends took shelter under the canopy. The only seats left for my sister & I were at the front where we were lashed by waves for the full journey home. So when my friend suggested repeating the experience, I was sceptical…. How Do You Choose Your Boat? 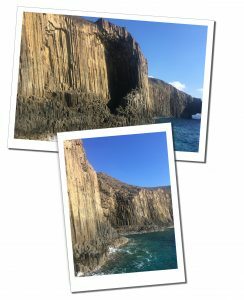 After my second tour, I was so blown away by the beauty of the island that I decided to dedicate a whole blog post to the day alone. Here are my top things to consider when selecting your tour. The day is not cheap so it’s important that you feel you are getting your money’s worth. 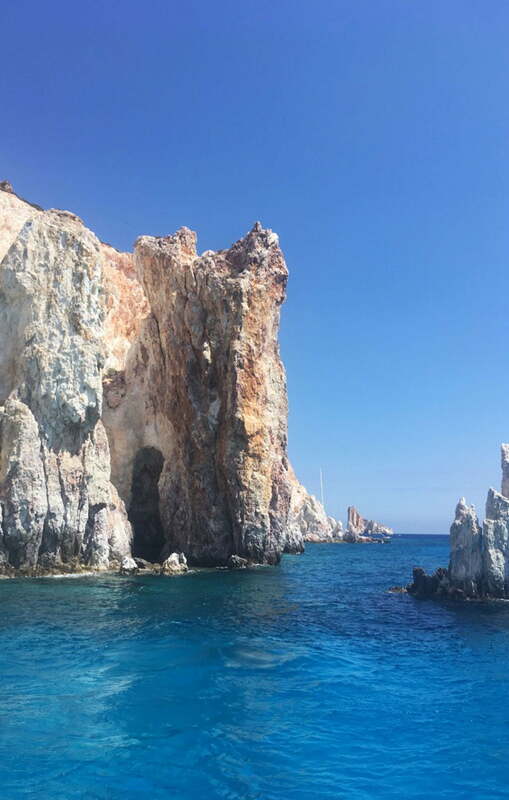 I have done both & can categorically say that Milos is so beautiful with amazing geology that it is well worth taking the full island tour if you can. As with my previous experience, some tours go around half the island & stop for a sit-down lunch. This means that you will often go out slowly & see the sites but return quickly. The better option is that if you have a full day, use it to see the whole island. Ask all the questions & book as soon as you arrive on the island. That way you get the best choice & the sellers will recommend the best day for the wind (which can impact where you start, which direction you head, half or full island). Whatever they say about the best day, take their advice if possible. Weekends will also get booked up quickly. Make sure you note all the extras. 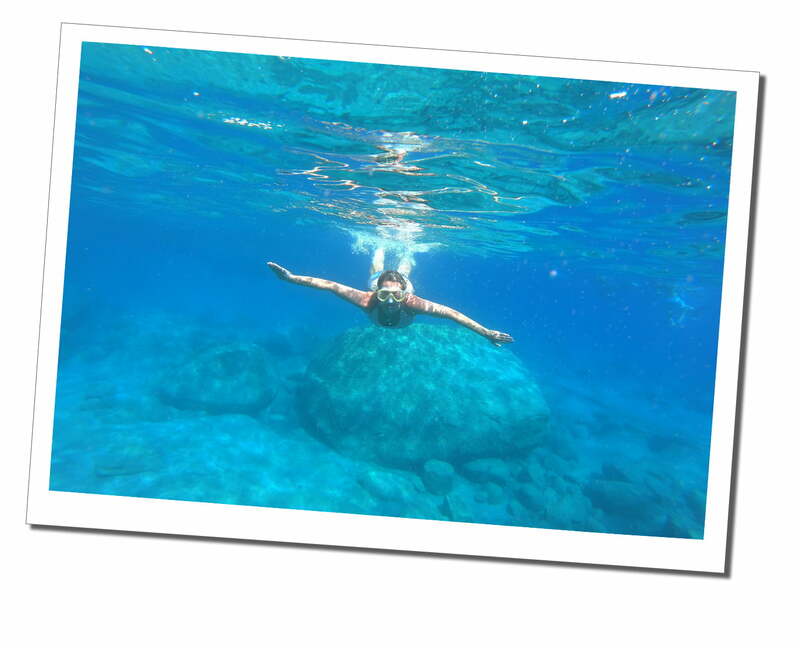 Many offer underwater photos, unlimited bar, masks & snorkels. Also, ask about the number of people on the boat as some to me look too crowded. Tourist boats can be 2 tier & very overcrowded. 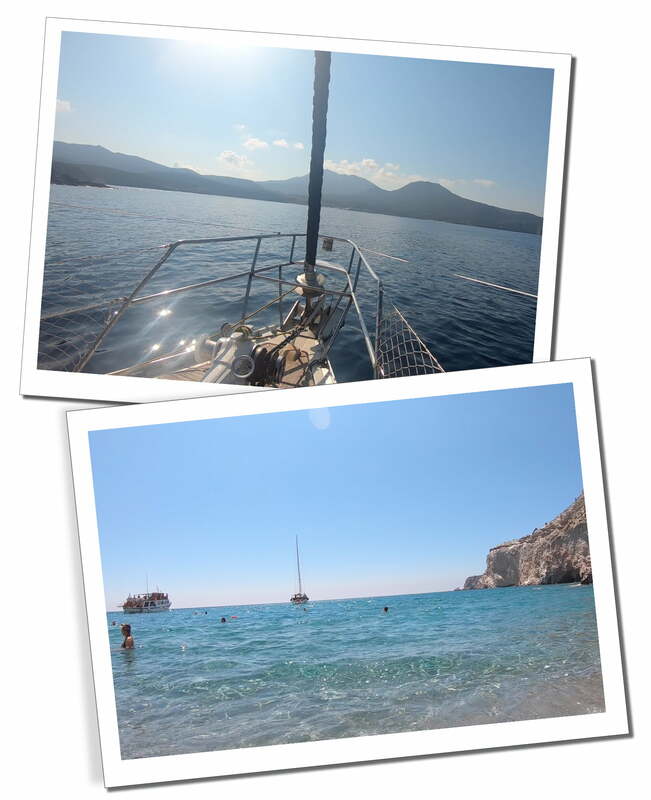 If you opt for a yacht there are likely to be fewer people & if you do, go for a newer vessel rather than an older one (advice we were given by a local). Ask a few people before you decide. The attitude of the sellers will often give you a steer as to how the tour is likely to be & cheaper does not often mean better. The boats get back to the harbour after 7pm & this is when they do their selling. Take your time to look around & speak to the vendors so you can more easily see what you’ll be travelling in. Which Boat Did I Choose? We stayed at Hotel Eleni, very close to the port in Adamas & I could not recommend it highly enough. The hotel is run by Eleni herself who is the most adorable, enthusiastic & helpful person you could wish for on reception! Apart from a lovely clean room & great outside terrace, the breakfasts were amazing (a huge array of options for only €7.50 per person). After doing our research at the port we came home to ask Eleni for her advice. She showed us the boat which was run by her husband & son, named after her. She told us which would be the best day to go & called to reserve our places. Sailboat “Eleni” is a yacht which holds 25 – 36 people, one of the larger boats of its kind operating in Milos. When we were there it didn’t feel too full & there was plenty of space for those who wanted to enjoy the sun or shelter in the shade. 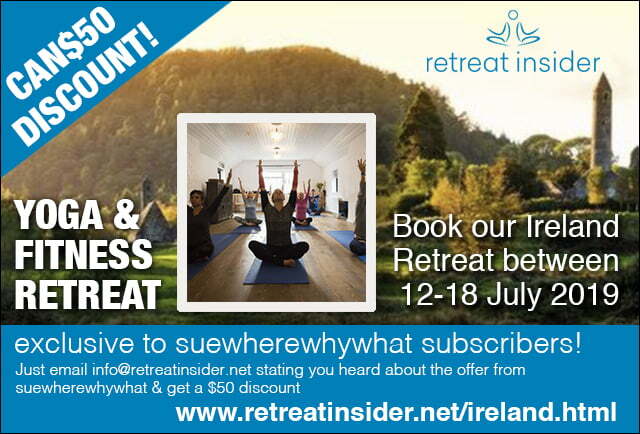 The tour was €90 per person (cash only), payable on the day. 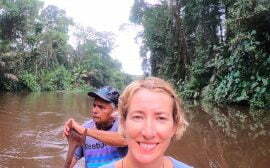 The crew were excellent & we were well looked after, informed, fed & entertained by our excellent guide Palmeta & George. 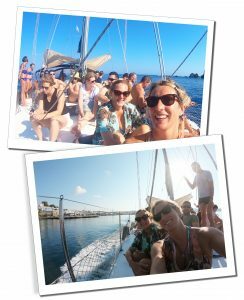 The extras on the tour included the use of masks for swimming (no snorkels) & photos taken by Palmeta throughout the day with a GoPro. This included underwater pictures, all provided on a CD at the end of the day. For all others, this meant returning to the port after 10pm to pick it up. As we were staying at Eleni’s place, they were delivered to our door! The food throughout the tour was all freshly prepared & delicious. It included pre-breakfast (cake), breakfast (sandwich), pre-lunch (bread & salami), lunch (pasta with tuna & tomato sauce), ice cream & as much wine, ouzo, soft drinks & water as you cared to drink. As long as they know a day before they can also provide a vegetarian option. 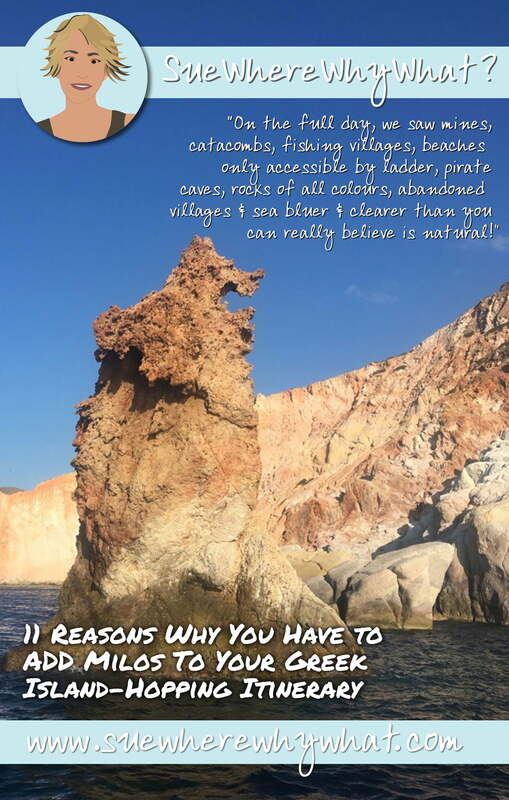 During the full day sailing, we saw mines for minerals, catacombs, colourful fishing villages, beaches only accessible by climbing down a ladder, pirate caves, rocks of all colours of the rainbow, abandoned villages and sea bluer & clearer than you can really believe is natural. Here are my favourite spots not to be missed. The catacombs are the first place we passed & are carved out of the pumice stone cliffs in caves 150m above the surface of the sea. They have been deemed the most ancient monument of Christianity & used as a cemetery from the end of the 2nd century BC. They are second only to the catacombs of Rome. You can also visit these from the land which sounds like an interesting trip. Klima is a collection of gorgeous fishermen’s cottages, all painted brightly, with the sea lapping against them. I would also recommend a visit on foot/bus/car as a walk along by the cottages is stunning. 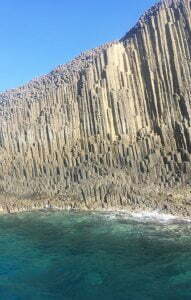 Vani has rainbow coloured rocks rising sharply out of the water due to the plethora of minerals that the cliffs contain. For this reason, it used to be a focus for mining activity & you can still see the remnants of this on the side of the cliff. As you round the cape, they take you really close to the rocks so you get an impression of how deep the cliffs soar through the water. 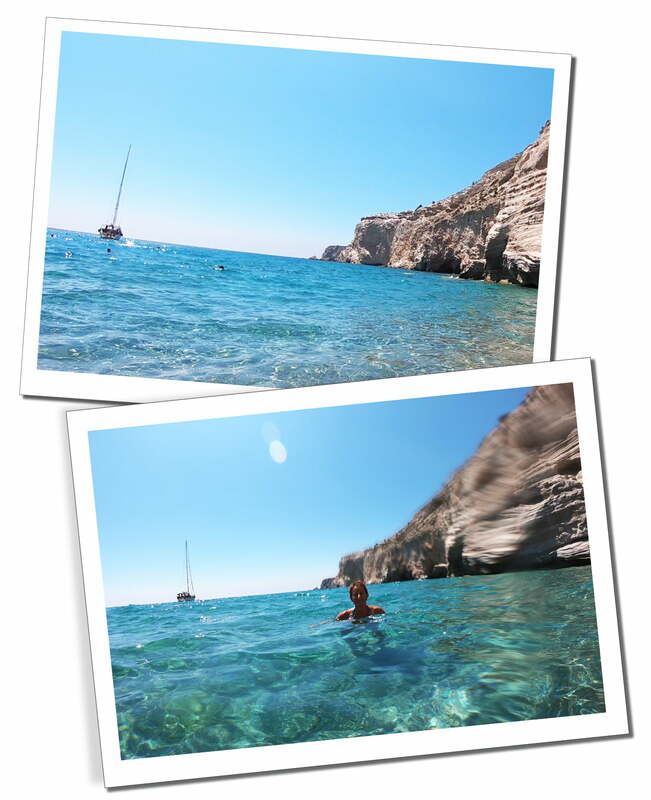 Here the sea is a beautiful, clear green colour – absolutely spectacular! 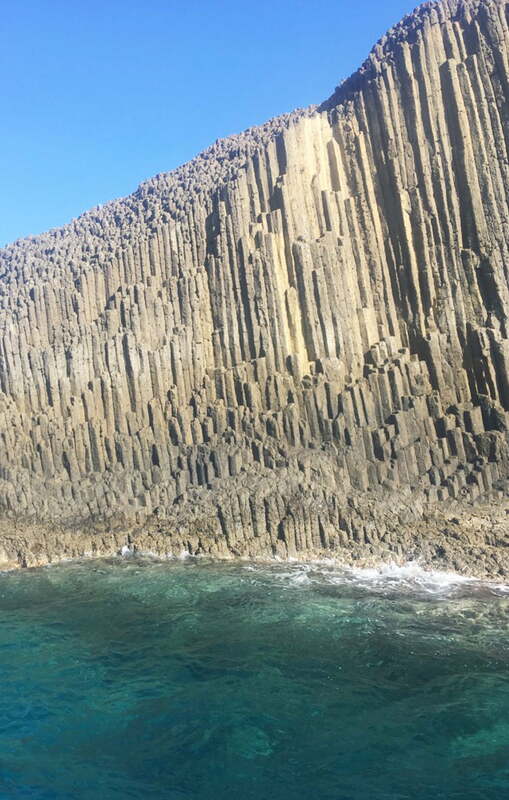 The area of Sikia Cave is stunning due to the volcanic nature of the island. Black obsidian cliffs lie on top of the white rock. 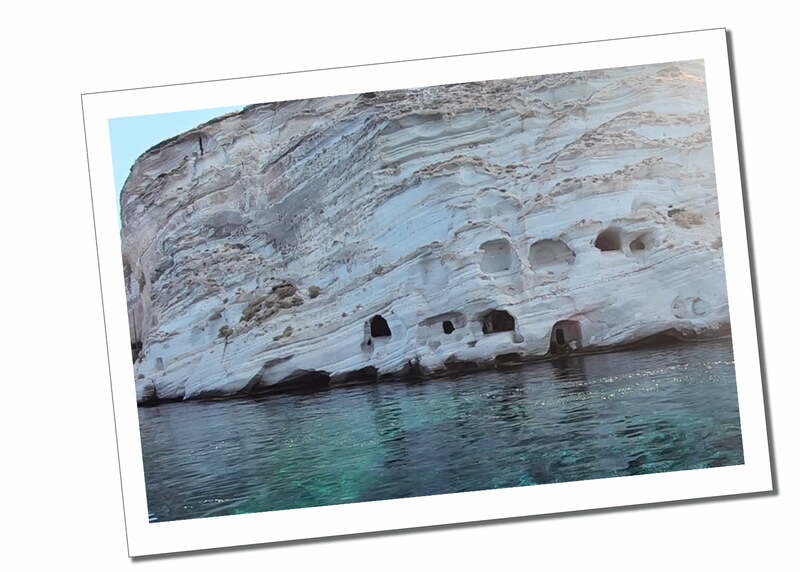 Sikia Cave & beach is only accessible by boat, or swimming in. A fig tree stands above the hole where the roof of the cave collapsed & the cave is named after this. Unfortunately, due to the size of our boat, Eleni couldn’t enter. We could see a few smaller boats which had negotiated their way in. Interesting location, even without being able to go inside…but there’s plenty of beautiful things to explore on this island! Kleftiko is one of the highlights of the day & any trip in Milos, the most photographed spot on the island. Here we got a chance to stop & have a swim in the beautiful turquoise water that surrounds the white rock archway. 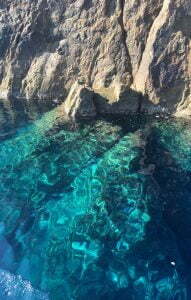 We borrowed masks from the boat, so we could see the rocks under the pristine waters, the fish swimming under us & the ripples in the sandy bed as we swam through the caves. Although on the boat tour we did not get to this beach I loved the concept of it. The beach is only accessible if you climb over the cliff & lower yourself down by a ladder & rope. Once there it is clearly a popular place to be & apparently also has a small café. This beach is again only accessible by boat. 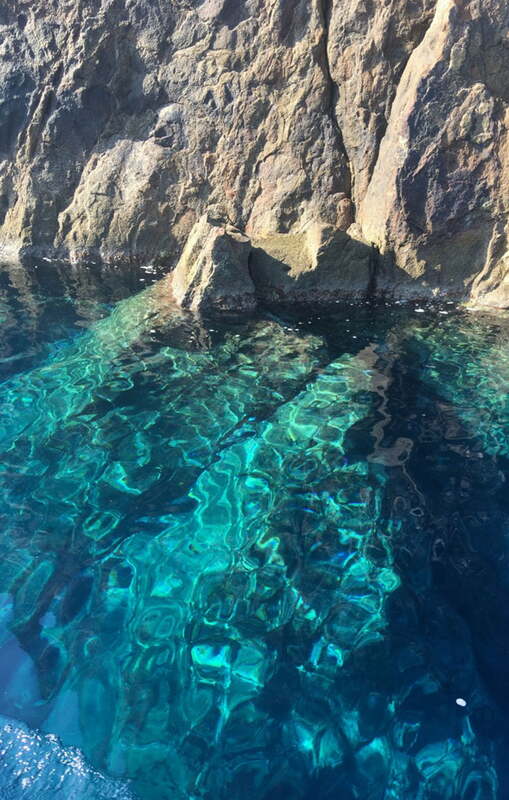 We stopped & took up the opportunity to swim there through the crystal-clear water once again. The boat provides fins & floats if you aren’t a confident swimmer, but we decided to go without. Once on the beach, it is formed of gravel & is a beautiful spot to sit & enjoy the views. Once empty, its great people watching to see the realisation as others stand up to assess the contents of theirs:-)! 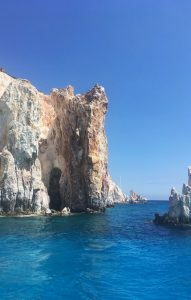 Polyaigos is a small island just off Milos with orange & white rocks, forming a dramatic backdrop to the waters which challenge to be the bluest I have seen anywhere. Even I couldn’t believe how filtered & photoshopped the pictures looked without any work & how almost unnatural the colour of the sea is here. It’s a very inviting swim & a great place to take advantage of the underwater camera with the pristine waters & excellent visibility. 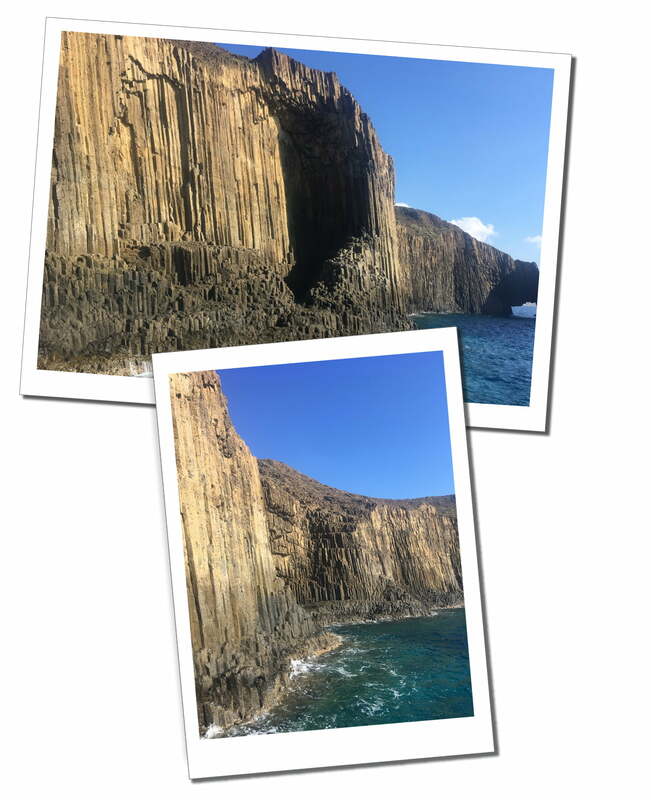 Spectacular & breath-taking are 2 words that sprung to mind as we approached these rocks, looking striped as the formations show their volcanic origins. Apparently, you can only view a similar phenomenon in Tasmania. To me, it resembled a much smaller version of the Giants Causeway in Ireland. Sarakiniko beach is made of volcanic white rock which has been eroded by the wind & waves. It literally looks like marble or the surface of the moon. 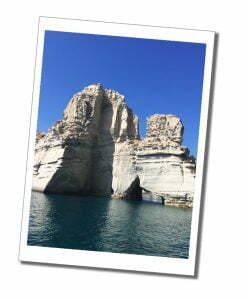 As we passed on the boat brave souls were jumping from the higher rocks into the sea, performing to their audience across the water. We also visited on foot, taking the bus. 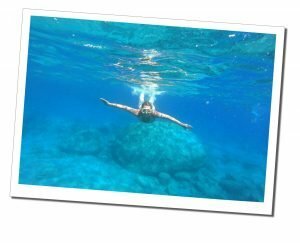 Yet another must do on this stunning island. 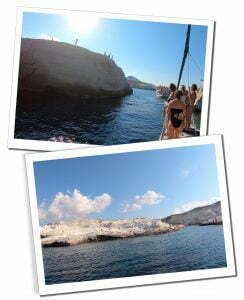 This was the final famous site of Milos which we passed on our way back to the port. 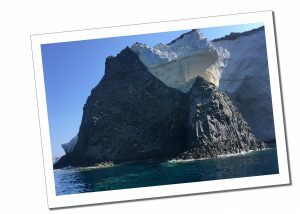 Arkoudes is also known as “Bear Rock”. There is no doubt Arkoudes is an impressive site. However, with all the other incredible formations we had seen today, it kind of paled into insignificance. 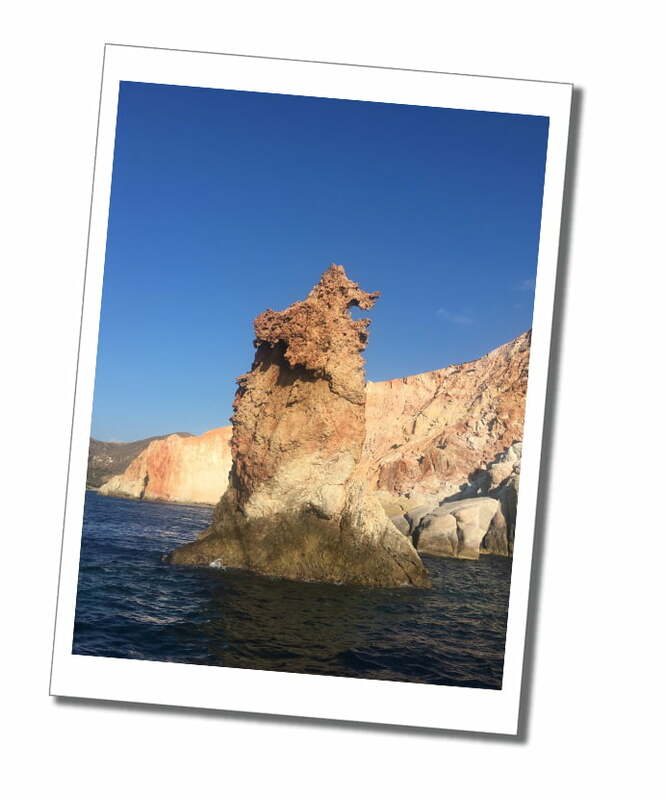 Milos is without a shadow of doubt one of the most beautiful islands I have visited just for its stunning & varied geology. Although I love to recommend this place, please don’t feel pressured to go. I love the fact that it still feels a little less “discovered” than its more famous neighbours! 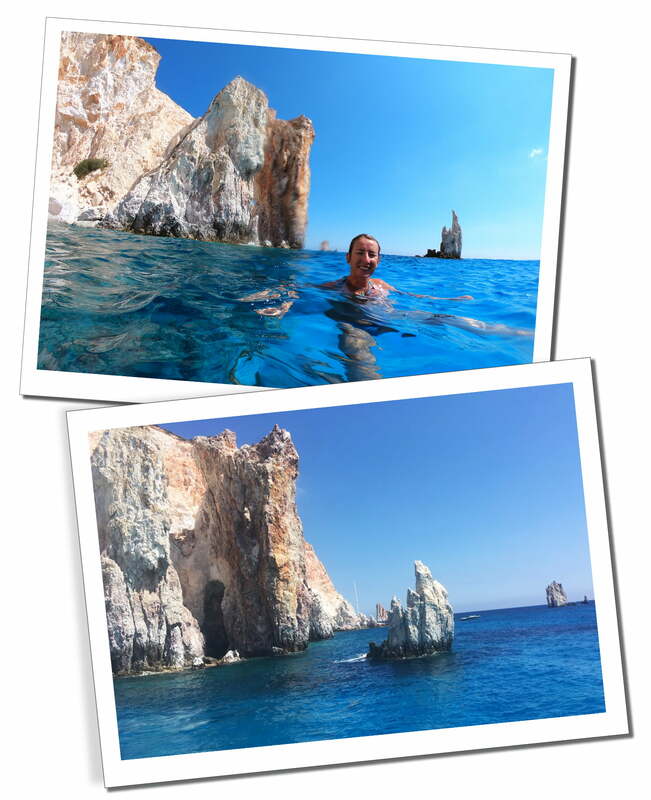 You can read, hear & see more about my trip to Milos & all my Top Tips on Greek Island-Hopping in my previous posts. 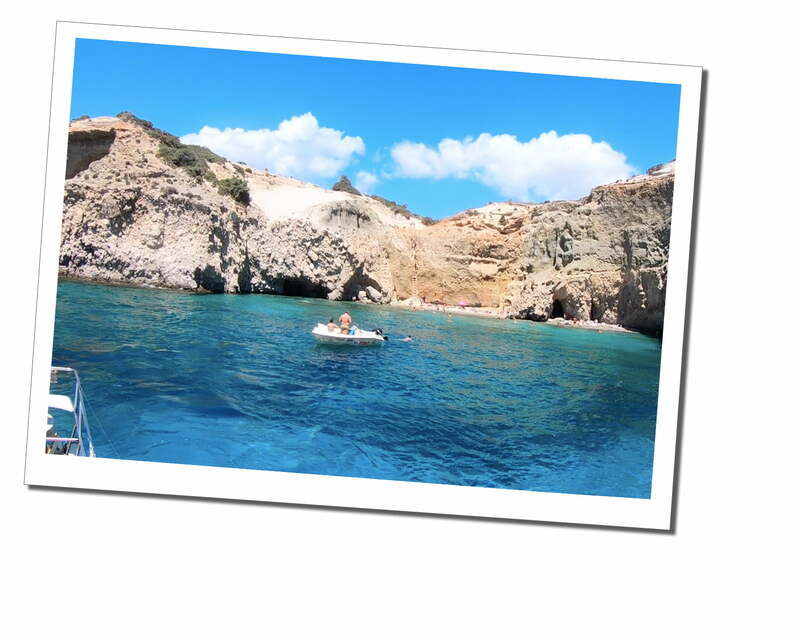 These include advice on Milos as well as Athens, Santorini, Mykonos, Naxos, Paros, Ios & Kos. I also have Video Diaries & Podcasts which can look at & listen to. Where were you unexpectedly blown away by the beauty of a location? 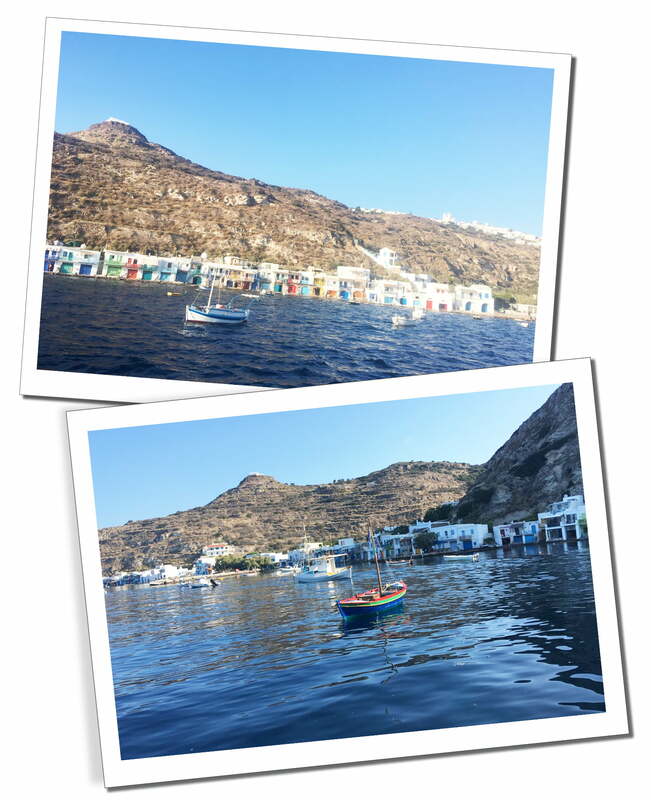 Which Greek Islands would you recommend for the best island-hopping experience? 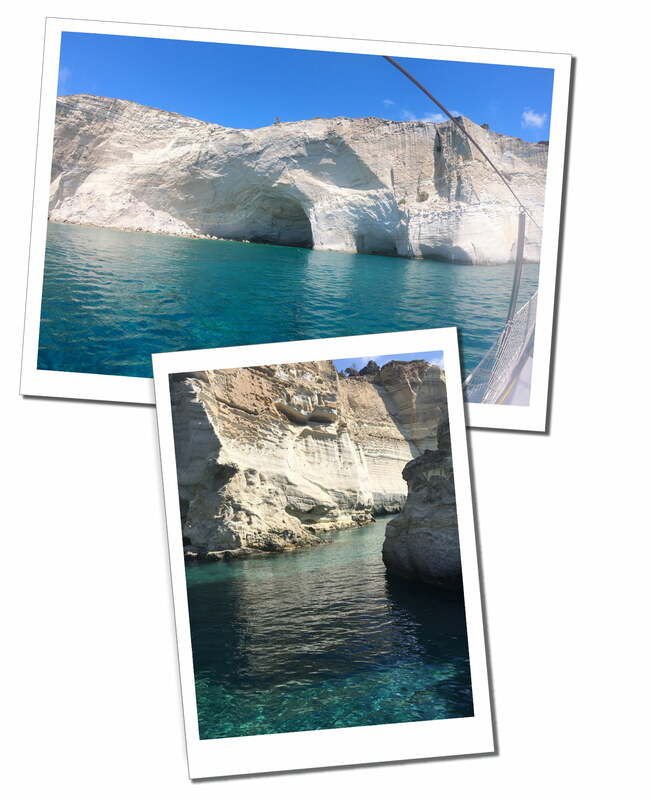 Where else in Milos would you recommend visiting? To see more of my photos from Greece please visit my Gallery page! ← Top 11 Things To Do in Bolivia’s Cities, including One To Miss & A Travel Conundrum! What an intersting island that I never heard of before today. I have only been to a few of the Greek islands, Mykonos most recently. I hdo have to ask, when you say tour “friends” were they really your friends that left you out the cold? Just to see the Glaronisia Islets would make this trip worth it. I love taking boat tours when I travel, and this is a really complete and informative post! 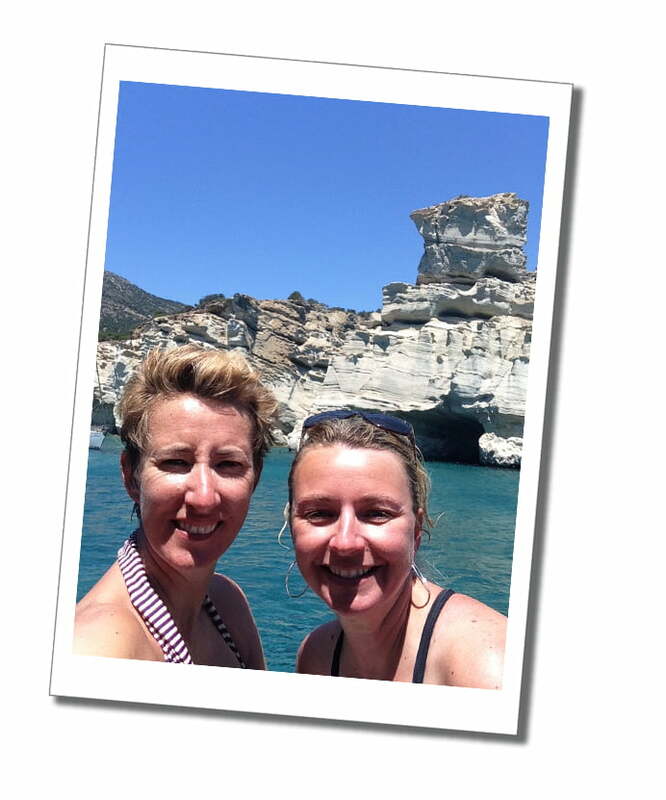 Those catacombs look fascinating – proof that you need to get on the water to really see a place properly! Love this! Each island is different even though they’re all so close. 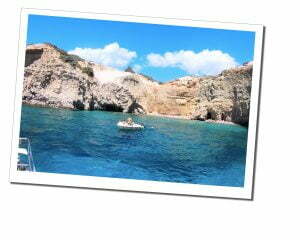 I went to Greece ages ago but didn’t do the island hopping. This is a great guide for future travels!